Digitizing an archive of film images can be a time-consuming process. 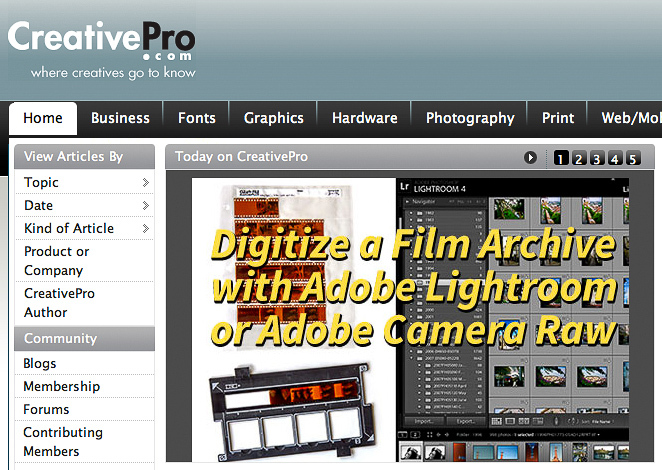 In my latest article for CreativePro.com, I tell you how to use Adobe Photoshop Lightroom (or Adobe Camera Raw with Adobe Bridge) to accelerate importing, editing, and organizing incoming film scans. You’ll get through hundreds of scans much faster and more efficiently than editing each image individually in Photoshop.